Horse Riding Lessons for beginners to advanced horse riders. 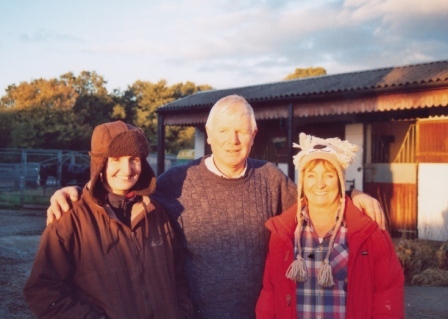 Lodge Riding Centre is a friendly, family run business which was established in 1970. - First Class Horse Riding Lessons from 5 years of age upwards. - Whether you are a novice or at an advanced level, your riding requirements will be catered for by our experienced team of instructors. - Group and Private Horse Riding Lessons are available on request. - We are able to offer indoor and outdoor arenas to suit your schooling level. - Holiday Courses, Pony Days and Birthday Rides are offered to all ages, please call to ask about availability as holiday courses are very popular. - Our horses are maintained and trained to the highest standards and to suit all abilities. - Full livery is available to look after your horse whilst you enjoy your quality riding time. - Competitive prices offering half hour and full hour sessions. - Now an established Pony Club Centre. Please feel free to Telephone 0151 489 8886 or Email info@liverpoolridingschool.co.uk to discuss your requirements. Our friendly team are here to coach you every step of the way!! Copyright ï¿½ 2012. All rights reserved.Terms and Conditions apply to every service we offer.